A recent study by the Pew Hispanic Center illustrates the need for leaders that represent the concerns and goals of the Hispanic population. According to the research, 62 percent of Hispanics polled could not name an important Hispanic/Latino leader in the U.S. The survey asked respondents to choose one person they think best represents the interests of the Hispanic community; however, the desires, needs and wants of each person differ according to life goals, values and aspirations. Just like a single financial plan does not fit everyone, neither does the idea that there is one person whose ideas can represent the entirety of the Hispanic population. It is critical to look at the study as an opportunity to highlight the influence of local Hispanic leadership rather than the idea that there are no influential Hispanic leaders on a national level. While national representation is essential to help tie Hispanics to key issues, leadership at a local level should be encouraged and celebrated to inspire and strengthen communities where people live, work and play. Hispanic Executive’s recent Top 10 Líderes issue, which recognizes the work of inspiring and dedicated business leaders, helps highlight the talents of our community and diversifies the business landscape and workforce. Through partnerships and guidance, these role models provide educational resources, raise awareness of causes and empower the next generation of successful Hispanic business leaders. Providing structure and support for Hispanics is a job that everyone can – and should – participate in. With the support and motivation of thought leaders and action takers, positive steps can be taken towards a future where all of the diverse needs of the Hispanic population are met on both a local and national level. According to the Pew Center research, 45 percent of respondents felt it was very important for Hispanics to have a national leader to help advance concerns of the community. But why stop with one representative when we have so many passionate people who make a difference every day? There is no end date for success, so I challenge us, as Hispanic business owners and executives, to ensure the conversation on involvement and empowerment continues so the goals of the Hispanic community are met – and exceeded. 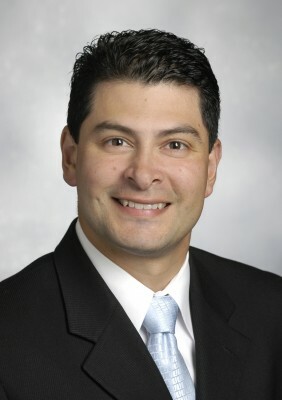 Michael Slabic is a financial advisor with Northwestern Mutual in Houston. Northwestern Mutual is the marketing name for The Northwestern Mutual Life Insurance Company, Milwaukee, WI and its subsidiaries. Passionate about helping people achieve their financial goals, Michael has been with Northwestern Mutual since 1996. A native Texan, Michael served as a reservist with the U.S. Marines for eight years while pursuing a Bachelor of Business Administration Marketing from Texas A&M University. Married with three children, Michael supports his community through involvement in local groups, including the Texas A&M Hispanic Network, junior achievement and youth sports coaching. “Three-Fourths of Hispanics Say Their Community Needs a Leader.” Pew Hispanic Center. N.p., 22 Oct. 2013. Web. 12 Nov. 2013.